The muscles in my back strain as I stand back up and wipe the sweat from my forehead. Even though the sun has only begun to peek out, the heat gets to me and my knees feel shaky. With great effort, I place the final bolt into a metal form that will soon be filled with wet concrete as part of the process of building an in-home water filter and look around at the group of women working, smiling, and laughing at the obvious toll the work is taking on me. One woman with a particularly bright smile captures my attention. Her name is Mary. Mary explains that she had been sick for a long time, but after attending trainings and working with our local partner, she received a water filter in her home. She describes the difference she saw in the beauty of her skin when she started to adopt the hygiene practices she had learned, and says eventually all of her digestive illnesses went away, and she began to feel strong and powerful again. 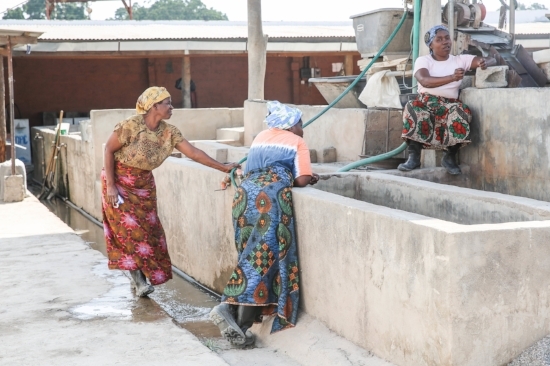 She speaks with deep passion about the WASH program, and her determination and desire is to help everyone in her village, and even the surrounding communities, receive clean water so they can feel as powerful as she does. She wants everyone to know God’s grace as she has experienced it. 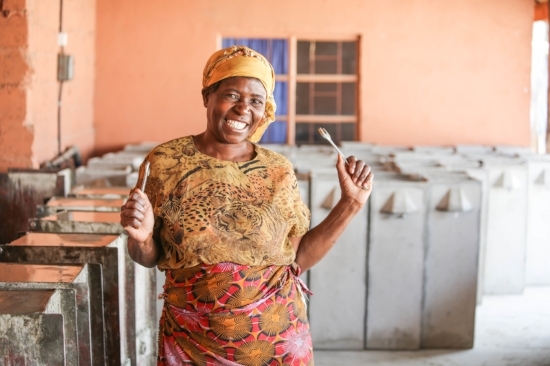 So, Mary shows up every day to work as a technician building water filters, and of course, sharing her infectious smile with those around her. It is something to see. I take a seat on a bench, catch my breath, and let my heart spill over at the privilege of knowing Mary.